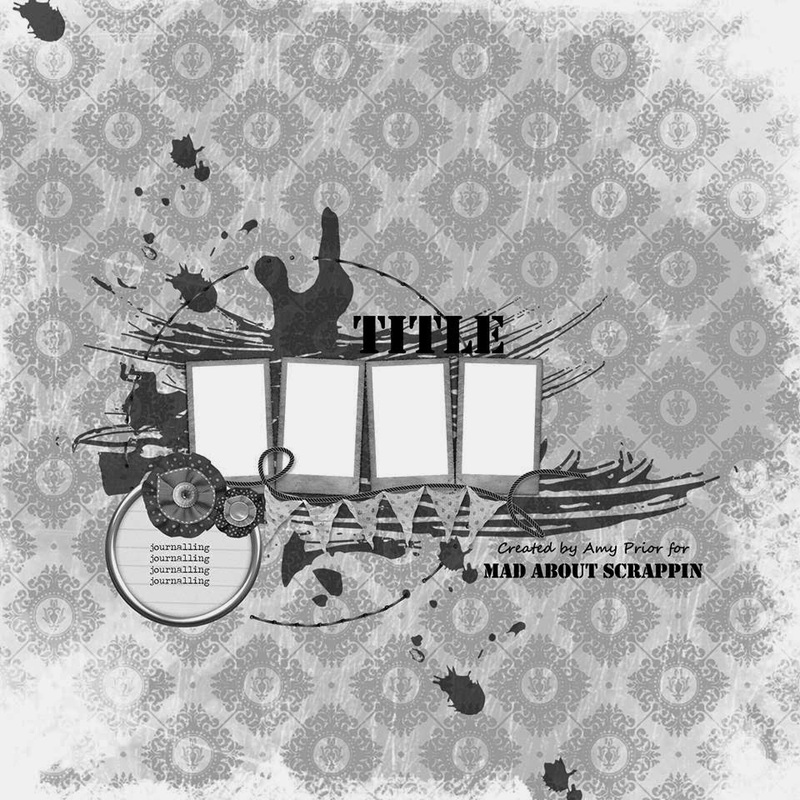 This month I decided to play along with the sketch challenge over at Mad About Scrappin. I knew as soon as I saw the sketch that I wanted to use a photo strip for the 4 pictures. It was not an easy photo to match papers with so I decided to go predominantly with green and a few accents of teal and light blue. The whole green background was a bit much so I started by swiping some gesso on to tone it down a little. Next I used a template and some distress ink to make the hearts. I felt they needed to blend in a little more so I went around the edges with some twinkling h2o's and a waterbrush. I added some splatters too and then some random stamping with a background stamp. I used a dyed paper doiley in place of the circle on the sketch. I also decided to use a few layers of patterned paper under my photos. I added a few extra layered embellies and finished off with a cluster of flowers. Bazzil cardstock - Walnut Cream, Sweet Shoppe papers, element stickers and alphabet by Simple Stories, Dyed paper doiley, D-lish Scraps embellishments; Old Fashioned Rose, Hydrengea Petals, Vintage Rose, Flair, Resin Roses from grab bag, self adhesive pearls, wire, Viola, resin butterflies, pastel cup sequins, Journal It's - Days of the Week. Gorgeous layout Amanda!! Love looking at your work! !